When it comes to the contemporary design movement, the only thing to expect is the unexpected. 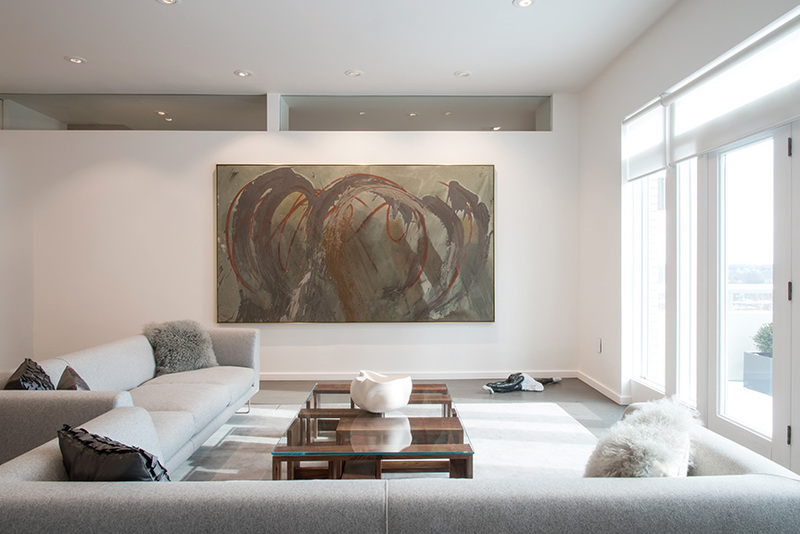 Homeowner Debbie Gilula subscribes to the Ludwig Mies van der Rohe philosophy. “Less is more,” she says, offering, “I like simplicity to the extreme.” For 40 years, Gilula lived in “a wonderful mid-century house,” she says, by architect Isadore Shank, a contemporary of William Bernoudy. Ready to scale back — prepared to streamline her life — Gilula purchased a 2,000-square-foot condo in Clayton. But simplicity isn’t always so simple! The home’s original floor plan was “open and progressive,” Gilula notes. She didn’t have to move any walls, but to achieve her dream arrangement she “took everything out, even the floors,” she says. 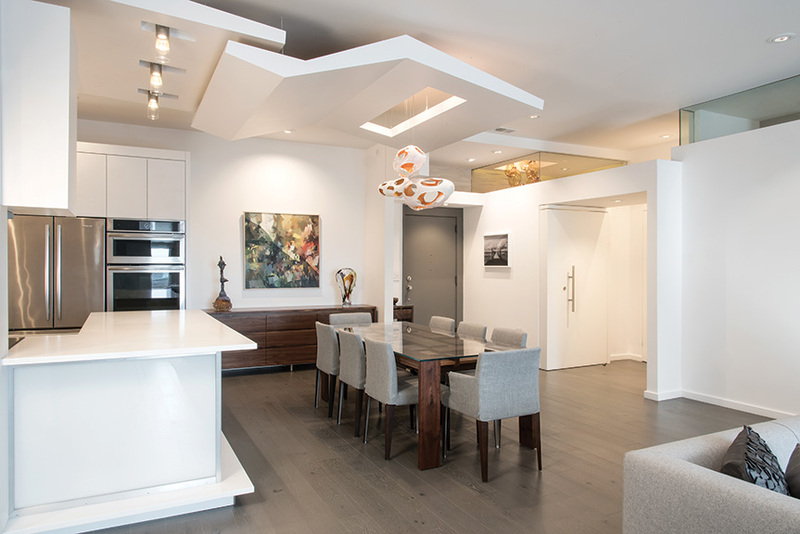 Gilula worked with Portland-based architect and building designer Jeffrey Lamb, who gained notoriety for designing the Seattle condominium that inspired the penthouse in Fifty Shades of Grey. Gilula is the first to admit that her new digs are “very unusual.” Like the home’s gray-on-white color motif, that’s an understatement. 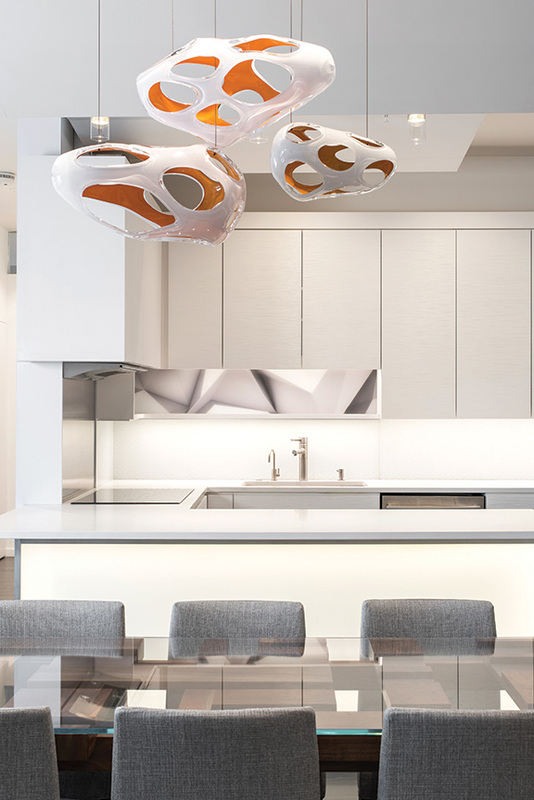 Take, for example, the 2-foot glass panels abutting the condo’s ceiling: Lamb installed them to “lower” the original 10-foot roofline (just visually, not physically), adding a unique contemporary design element in the process. 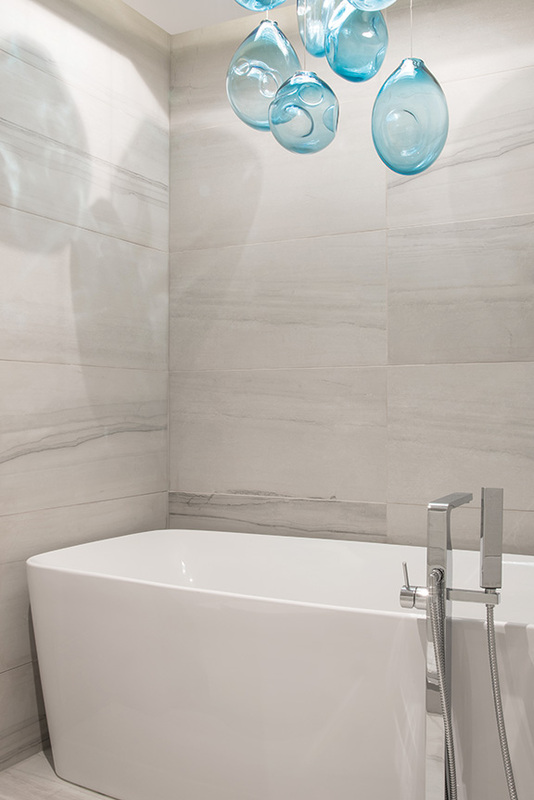 Speaking of glass, check out those backsplashes in the master bathroom and kitchen. “That’s a flat piece of glass,” Gilula says, explaining that Lamb uses a special technique to superimpose pictures onto the surface of glass, giving the material a three-dimensional appearance. “He did the same thing on the shower wall,” says Gilula, referencing the sheet dividing the shower and commode. Lamb built Gilula’s sleek custom cabinetry, as well as a handsome buffet and two corresponding pieces: stunning glass-top dining and cocktail tables that are art in their own right, with a jigsaw puzzle layout and, for the dining table, asymmetrical legs. “Every detail is so purposeful,” Gilula points out. 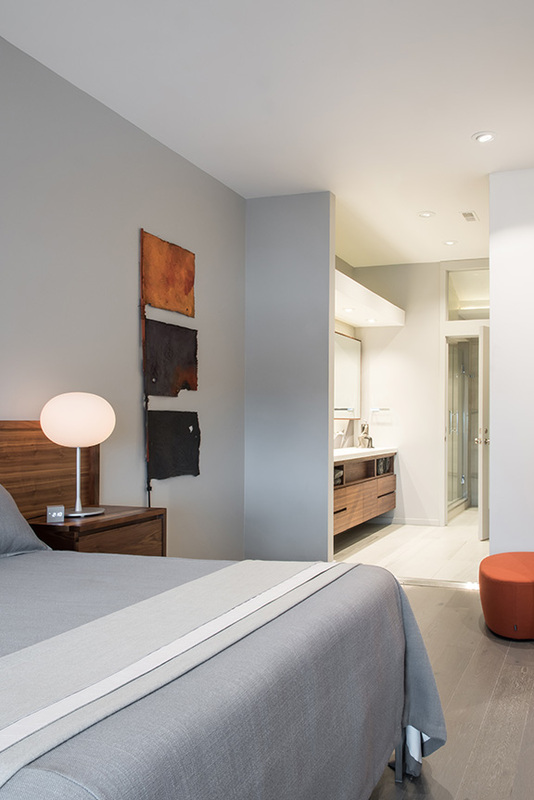 Lamb played with lines in the master bedroom, too, where he built a headboard with asymmetrical end tables, one topped with a mod lamp from Centro. The furniture Lamb made was constructed in Portland with dark walnut. “You need a flashlight in my closet because my favorite colors are black and gray,” Gilula continues. That theme was carried through Gilula’s living spaces, evinced by gray chairs, angular gray sofas (also from Centro), and gorgeous gray wood floors. You get the idea! It’s Gilula’s son — Portland-based glass artist Ian Gilula – who really brightened up this home, with suspended glass fixtures and freestanding glass sculptures, too. 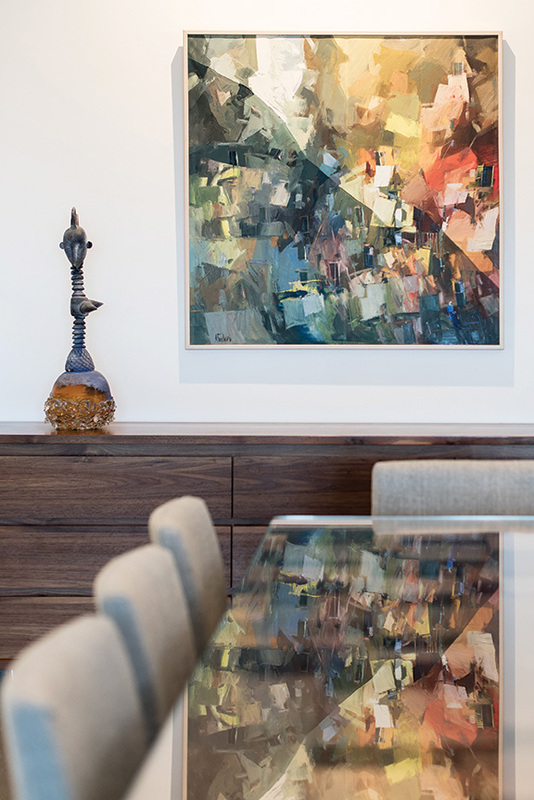 Gilula incorporated artwork from St. Louis artist James M. Smith in almost every room, and lauds his bold use of texture. There’s plenty of texture on the walls, too, especially in the powder room, which was recently chosen as one of our 2017 Baths of the Year. 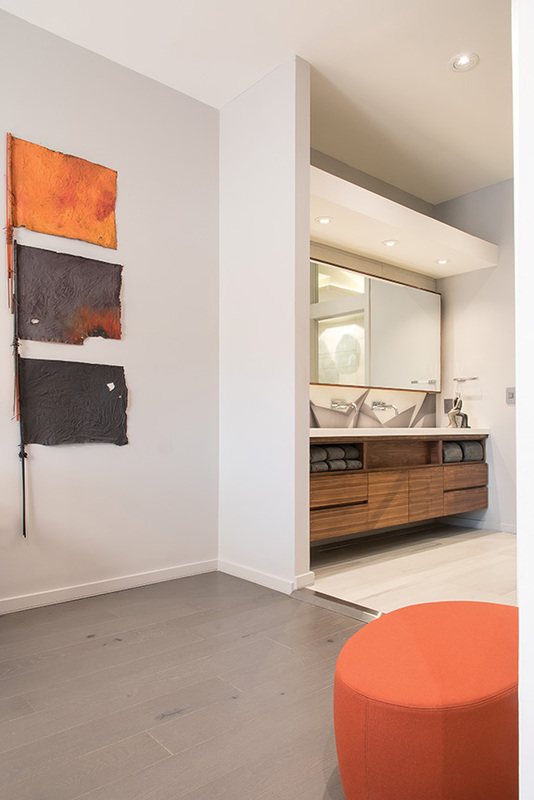 Combinations of smooth and rough surfacing — a woven wall juxtaposed against polished stone flooring — create visual surprise, and trough sinks look quintessentially cool with floating wall-mount faucets. 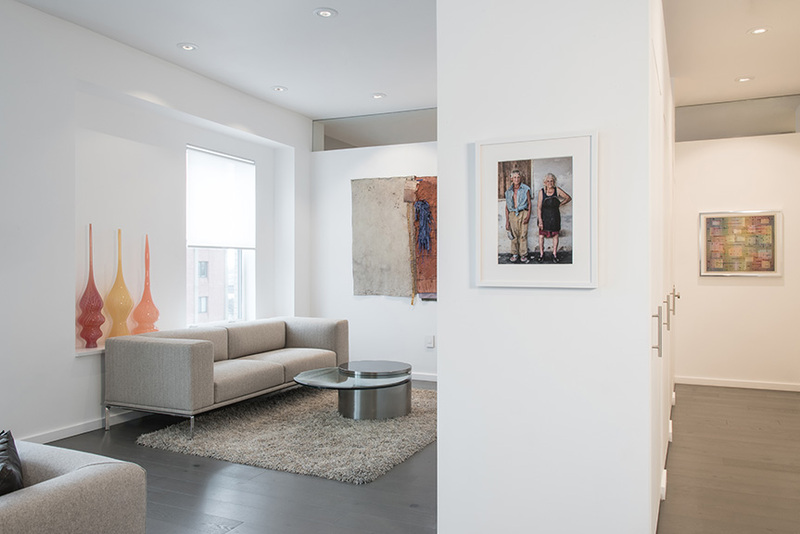 Gilula and Lamb packed a lot of ideas into a small space — and, obviously, it works.